The History of Cell Barnes Hospital | Cell Barnes | Out of Sight, Out of Mind? There is not yet a full published history of Cell Barnes Hospital. The following, by Gary Moyle, is taken from the introduction to the archive catalogue of the Cell Barnes records. Cell Barnes Hospital was built by Hertfordshire County Council to provide care for those with learning difficulties and learning disabilities (the ‘mentally deficient’ or ‘mentally handicapped’) – being those who had been ill either since birth, or an early age, and who were seen to have no prospect of a full recovery. The 1886 Idiots Act allowed local authorities to build asylums for ‘idiots’ or ‘imbeciles’. These people were distinct from ‘lunatics’, who had simply become mentally ill, and were possibly recoverable. The 1890 Lunacy Act, however, did not make that distinction. But under a new umbrella term, The Mental Deficiency Act 1913 introduced a hierarchy of categories of mental deficiency, from Idiots at the bottom of the scale, to Imbeciles, the Feeble-Minded, and up to Moral Defectives. All had to be deficient from birth, or from an early age. The Act set up a Board of Control, in effect those who had been the Lunacy Commissioners. Previous to the building of Cell Barnes, the care of those in Hertfordshire with learning difficulties and disabilities was indistinct, usually being absorbed by whatever ‘care systems’ dealt with the poor, criminals or lunatics. Otherwise, they would simply live in the community. The name Cell Barnes may originate in a barn, or barns, which were attached to Sopwell Priory, which was a cell of St Albans Abbey. Another theory points to the use of this cell as a retreat by Dame Juliana Berners/Barnes, reputed author of part of The Boke of St Albans (1486), and supposed Prioress of Sopwell. 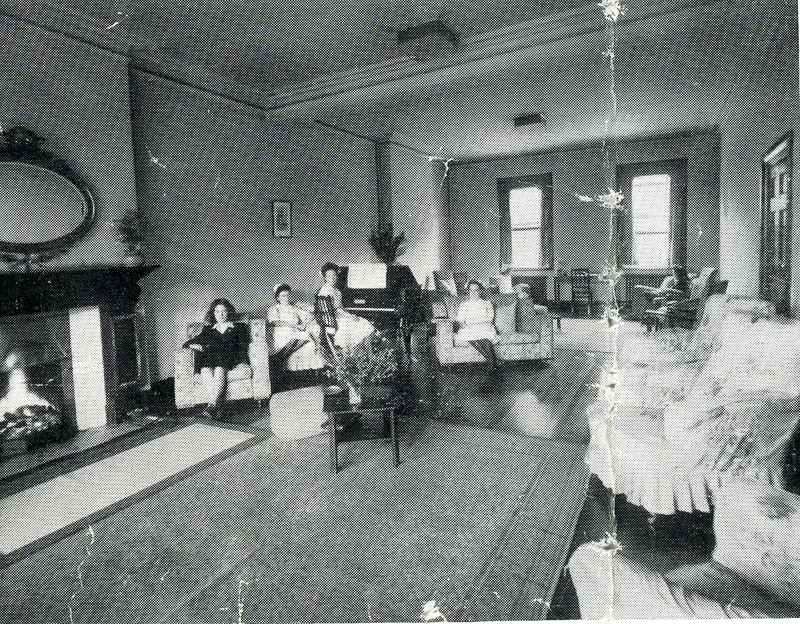 The old part of the female Nurses’ Home is alleged to have been her home. The Cell Barnes part of the Sopwell estate was leased in 1531 to John and Nicholas Aylward, but during the Dissolution the land passed to Sir Richard Lee. Upon his death in 1575, the site was leased and farmed by various families, including that of Mary Pemberton (née Coningsby). From 1690-1736, it was in the hands of the Thrale family. A large brick farmhouse, Great Cell Barnes, was built in the 1800s, on what is now Cell Barnes Lane, with 208 acres attached. From 1881-1886, it was occupied by Viscount Grimston, followed by the Ansons, then from 1922, by Viscount Enscombe. 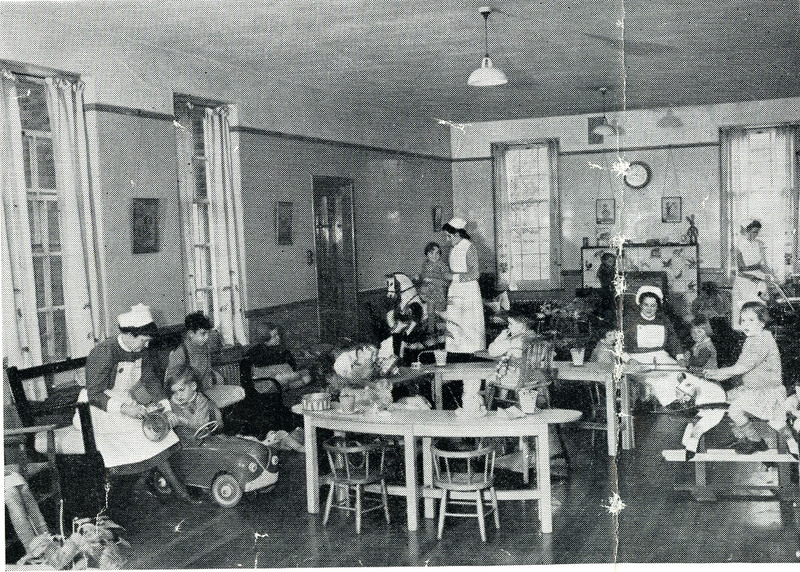 As part of the hospital site, it was extended and became used as a nurses’ home. Nearby, Little Cell Barnes farmhouse is much earlier, possibly from the 15th century. In the 1990s, this housed the London Road Residents’ Social Club. In 1910, 29 acres of land were bought from the Gape Trustees for a mental deficiency colony, but this was later sold and the site became Nicholas Breakspear School. Hertfordshire County Council purchased 93 acres of Cell Barnes from the Earl of Verulam in the 1920s, to be developed as a ‘colony for mental defectives’. The architects for the hospital were J M Sheppard and Partners of London, and the work was contracted out to Messrs H M Nowell Ltd. The building costs were to be nearly £200,000 but the Council actually overspent on the construction, so much of the furniture and furnishings had to be bought second-hand. George Dollimore, the Head Gardener, laid out the grounds. On 2nd March 1933, five women were admitted as the first patients. The intention was that 400 of the initial 600 beds would be for Hertfordshire patients. 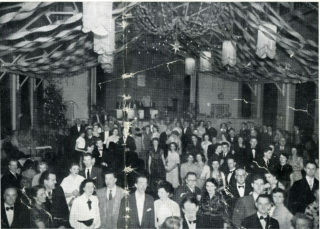 An opening ceremony on 5th October 1933 was attended by the Rt Hon Sir E Hilton Young, Minister of Health, and the first Medical Superintendent was Dr Noel N M Burke, in whose honour the recreation hall was named. Although the new Mental Treatment Act 1930 was in force, the Colony would be governed by the Mental Deficiency Act 1913. It was not a ‘mental hospital’ as defined by §21(1) of the Mental Treatment Act, but a certified institution for the reception of mental defectives as defined by §71 of the Mental Deficiency Act. A diagnosis of Idiot, Imbecile, Feeble-Minded, or Moral Deficient (with Epilepsy also noted) would be made – categories which reflected a range of ability from low-grade to high-grade. Idiots were ‘so deeply defective in mind as to be unable to guard against common physical dangers’. Imbeciles were ‘incapable of managing themselves or their affairs, or, in the case of children, of being taught to do so’. The Feeble-Minded (the ‘socially inefficient’) had problems ‘so pronounced that they require care, supervision, and control for their own protection or the protection of others’ and, if children, a condition that was ‘so pronounced that they by reason of such defectiveness appear to be personally incapable of receiving proper benefit from instruction in ordinary schools’. Moral Defectives displayed from an early age ‘some permanent mental defect coupled with strong vicious or criminal propensities on which punishment had little or no effect’. In Summer 1939, when war seemed inevitable, plans were issued by the government, making provision for the care of air-raid casualties and for the continuation of the treatment of the sick, in the event of hostilities. These plans constituted the Emergency Medical Service (EMS). EMS hospitals were basically civil hospitals, but they were also used for large numbers of service patients, particularly those requiring treatment in specialised units, and also when demands for hospital care suddenly increased. London was divided into five sectors, with one or more teaching hospitals per sector. These central hospitals were to deal with emergencies due to either acute illness or to injury, including those resulting from enemy action. At the edge of each sector a large hospital, usually a mental health hospital, was taken over by the government as a base hospital. 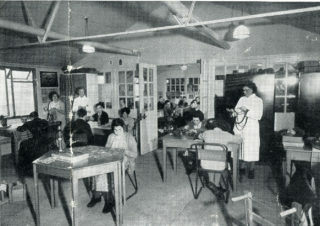 Hill End was the base hospital for the Bart’s sector, and new units for the surgical care of patients with head injuries and chest diseases were established. Cell Barnes was also used for Bart’s patients. Both hospitals had the services of Bart’s nurses. On 23rd September 1940, a German parachute mine fell in the hospital grounds, damaging buildings but inflicting no fatal casualties (see HM2/A3/40 for ARP file, and HM2/A3/74 for 1996 letter recalling the incident). Tenterden House (formerly Old Lye House), situated three miles from Cell Barnes in Bricket Wood, was acquired in 1946 and used as an annexe to reduce the overcrowding in the hospital. 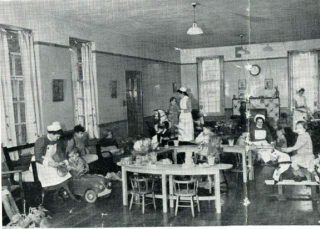 The first patients, older girls, were admitted in December 1947. The National Health Service (NHS) Act was passed and implemented in 1948, with the hospital being acquired by the NHS on 1st July 1948. Cell Barnes and Harperbury Hospital – also for the mentally handicapped – were grouped, with their annexes, under the Cell Barnes and Harperbury Group (No 8) Hospital Management Committee (later the Verulam Group), which was responsible to the North West Metropolitan Regional Hospital Board. 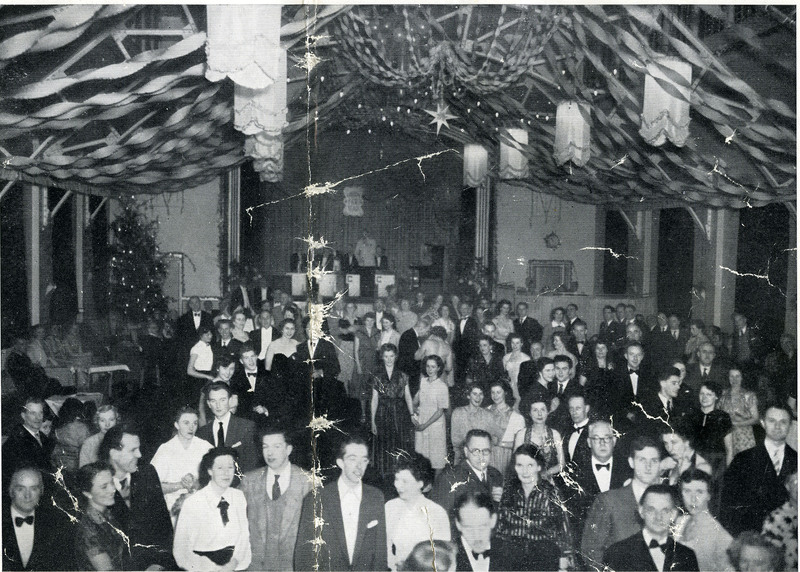 In 1958, three new wards were completed, as well as two units for resident staff, and the Acland Social Staff Club, for which HRH the Duke of Gloucester KG performed the opening ceremony. Dr Thomas, Medical Superintendent, was selected to serve on the Royal Commission which led to the Mental Health Act 1959. That year saw the wards no longer locked. In 1967, the Physiotherapy Department was opened, and the Ena Daniels School, comprising four classrooms, a nursery and staff rooms, was opened in June 1968, named after the Chairman of the Hospital Management Committee. In 1969, the hydrotherapy pool was built and a further two new wards were completed, intended for the more severely disabled. In 1970, the charitable Cell Barnes Trust was set up by Doris Drown MBE (1906-2000). Arranging visits to patients, annual holidays and Christmas parties, the Trust continued to work with former patients even after the hospital’s closure. A Day Hospital opened in 1976. The NHS policy of care in the community, rather than in large institutions, came to be more fully implemented with the Community Care Act 1990. A year later, the new Horizon Health Trust (1991-2001) began its winding down of Hill End, Cell Barnes and Harperbury. The widespread closure of such outdated institutions was the culmination of decades of NHS and Government policy drift towards community care – enshrined in legislation such as the Mental Health Act 1959 and the Community Care Act 1990, and also encouraged by the proven success of outpatients’ facilities, a better acceptance and understanding of mental health, and increasingly effective self-medication. A 1957 Royal Commission had concluded that mental handicap was not a medical condition, and that no resident should stay in hospital, if they could be supported in the outside world. Outside of the institution, they could be ‘normalised’ – a Swedish concept advocating life in small houses in open society – this philosophy being integral to the Community Care Movement. Drugs, such as Corpromazine (marketed 1952) and Largactil (1954), enabled patients to benefit from training to make their behaviour more socially acceptable. As relatives protested at the closure process and the public voiced concerns, the site was formally opened as Highfield Park on 13th November 1997. St Albans District Council currently (in 2009) owns the freehold, and it is run on a long lease by the independent and charitable Highfield Park Trust ‘for the benefit and enjoyment of existing and new communities in the area’. The closure of the hospital was marked by a ‘farewell ceremony’ on 31st March 1998 (see photographs and programmes in HM2/Ph/16-17 and HM2/Pr/8). I worked at a purpose built home for patients from Cell Barnes in 1996/7 in Stevenage. We often visited Cell Barnes before they were moved to the home, the ‘hospital’ was a very sad and unfriendly place and the patients were sadder. Most of us would shed area tears after being there seeing and knowing what they endured. Almost all the patients were doubly incontinent and nearly all of them were unable to communicate. Hopefully they lived out the rest of their lives in relative comfort. An 89 year old gentleman in our care passed away on 4th July. This man was discharged to our care from Cell Barnes in 1991. At Cell Barnes he was considered a “High Grade” and collected laundry and was paid in cigarettes. (He had a 20 a day habit! ; 0 ) )This gentleman had very limited speech and we would not have known none of history had we not had another person in our care who knew him, and a member of staff who was a previous employee at Cell Barnes. People who knew this man from his time at Cell Barnes said he was admitted to the hospital with siblings, but there has been no contact since. He was the most positive pleasant and the fun person to share time with. In the last years of his life he faced considerable health challenges which he bore with humility, humor and resilience. He was a legend and I am proud to have been part of the team who supported him! I recently found out I had a sister that lived at Cell Barnes Hospital from age 4, I found out a lot of information from hertfordshire Partnership NHS Foundation Trust; Records and Access to information Officer, She was very helpful and gave me a lot of information on my sister. Unfortunately by the time I found her she had passed away, but I was then able to locate her grave which I was thankful for and they still had photos of her on file which they sent me copies of. Julie, Nikki – please contact local social services. If they have ‘placed’ anyone there will be a record. Good luck. I am trying to trace my brother who lived here from the late 70’s until it’s closure. We believe he may live on site in the flats that’s were built, but are unsure. Any information would be much appreciated. Four of our residents at work came from Cell Barnes when it closed. We’ve heard some awful stories about their care – one lady still sleeps sitting up, and jumps out of her skin if she hears a noise when she’s dozing. It wasn’t a pleasant environment for them at all. They all thrived when they moved into an 8 bedroomed purpose-built house. We lost one last month, but the other three are going strong. This is a far happier environment for them to live in.